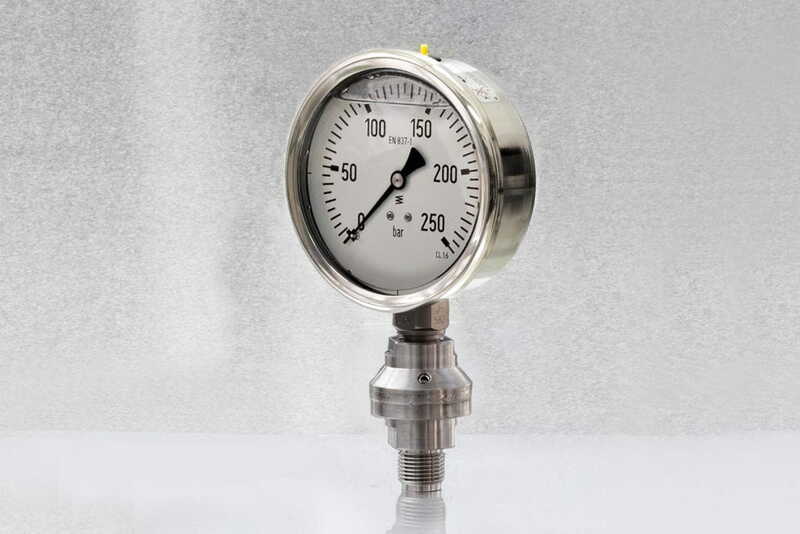 Rugged model, designed for working pressures up to 400 bar (600 bar upon request). Fully stainless steel made, welded dipahramg. Suitable for instruments with ¼" and ½" connection. Process connections ¼" and ½" BSP-M.